Inception translates one of the works from the Genesis Series from sculpture to photograph—recontextaulizing the three-dimensional form into a two dimensional image as a contemplation on our perception of time and creation. 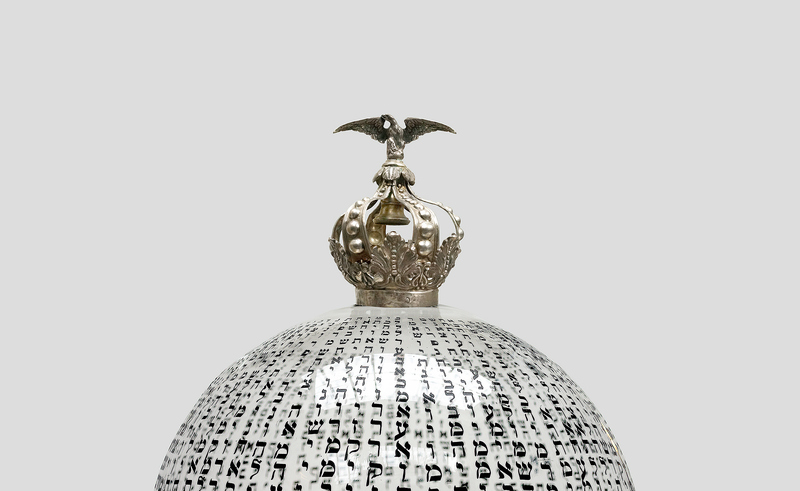 A floating glass vessel, the Genesis text from the Torah beginning at its center with identical text moving in opposite directions, becomes the lyrical expression of an expanded dimension of time: circular rather than linear, simultaneously moving forward and backward. The dual direction of the text—inspired by the Kabbalistic idea that while our current existence was indeed the beginning of creation there were perhaps other beginnings prior to ours—echoes the often divergent paths of that which is logical and the divine. By intertwining time and creation within this context, the piece explores the boundaries of their metaphysical dimensions, and expands the notion of creation into an unending, dynamic process—resonating in both the divine and the mortal existence.